CALABASAS, Calif. — Air travelers are always asking, “When is the best time to book my flight to…”? 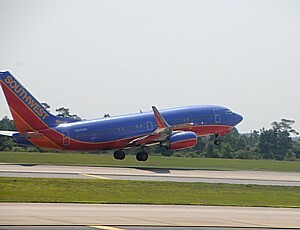 After analyzing 1.5 billion air fares, CheapAir.com has determined that in 2014 the best domestic fares were found booking, on average, 47 days in advance, while international fares should be purchased further ahead. This was based on a review of almost 5 million trips, covering 15,000 markets, watching fares booked between 1 and 320 days in advance. In fact, the study found that the average savings that could be achieved from buying on the “best” day versus buying on the “worst” was $201 per ticket. Analysis of the data revealed a general pattern that, beginning when flights open for sale 11 months in advance, fares tend to drop slowly but steadily until reaching a low point somewhere between 27 days and 114 days out. CheapAir calls that three month window, between one and four months in advance, the ‘prime booking window.’ “Way more often than not, the best fare for a domestic trip will be offered at some point during that window,” Klee said. Not surprisingly, the study revealed that travelers should make sure to buy their ticket at least 14 days in advance, or pay an average of $111 more. That amount jumps to $174 more if you buy within 7 days. But it also revealed that buying a ticket too early, can be costly, too. Tickets tend to be about $50 more expensive than their eventual low point when flights first open for sale. The study found different dynamics exist for domestic and international flights, concluding that for international flights it is generally best to book earlier than the recommended window for domestic. The best time to buy cheap airline tickets to Latin America, for instance, averaged out to 96 days in advance. To Europe it was 276 days – that’s about 9 months! Mexico was close at 251 days and Asia was even more extreme at 318 days. Of course, airlines are constantly monitoring booking trends and have their own yield algorithms that tell them when to drop prices. The CheapAir.com blog offers more details on the study and when to buy airline tickets. For travel advice, deals and inspiration connect with CheapAir on Facebook, CheapAir on Google+ and CheapAir on Twitter. AirBerlin is holding an early booking sale through July 31, 2013 with fares starting at $698 to premier European cities such as Gothenburg, Krakow, Oslo, Stockholm and Warsaw for travel from October 15, 2013 through March 31, 2014. AirBerlin can get you there with convenient connections from AirBerlin’s U.S. gateways Chicago, Miami and New York via its international hubs in Berlin and Dusseldorf. Fall and winter are special seasons in Europe and as the summer crowds disperse, let AirBerlin take you to the perfect destination to enjoy seasonal festivities. There are numerous festivals during the fall and winter months that will entice you to visit Poland and the Nordic regions to explore cultural highlights and enjoy culinary delights. Travelers can easily connect to AirBerlin’s U.S. gateways from an additional 59 cities from all over the United States with its oneworld® partner, American Airlines. To book visit www.AirBerlin.com, contact the reservations center at 866-266-5588 or call your travel agent. AirBerlin is one of Europe’s leading airlines and flies to 150 destinations in 40 countries. 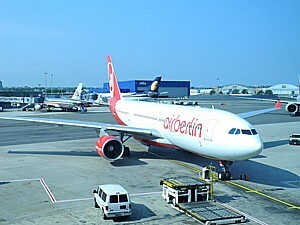 The second largest airline in Germany, AirBerlin carried more than 33 million passengers in 2012. AirBerlin offers a global route network through its strategic partnership with Etihad Airways, which has a 29.21% share in AirBerlin, and through membership of the oneworld airline alliance. The airline with the award-winning service operates codeshare flights worldwide with 14 airlines. The fleet has an average age of five years and is among the most modern and eco-efficient in Europe. 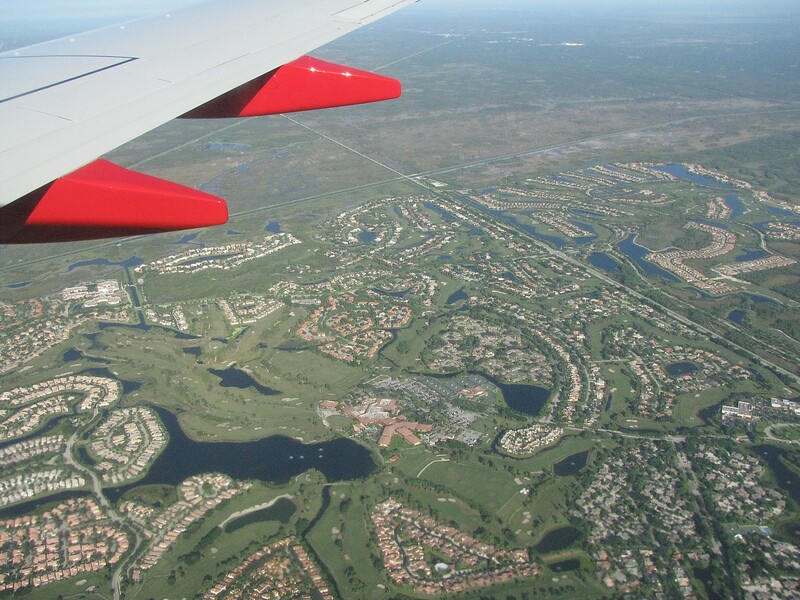 The American Society of Travel Agents is calling upon the federal lawmakers to look elsewhere for money to close the budget deficit, saying that increasing aviation taxes would only serve to hurt the U.S. transportation industry and the consumers who rely on it. “To place additional taxes on airline travel might assist with closing the budget gap in the short run, but such actions will no doubt have unintended, long-term negative consequences as consumers already faced with tight budgets cut back on air travel or eliminate it altogether,” said Tony Gonchar, ASTA CEO. “The results could be catastrophic for an industry already struggling to recover from the recent recession which saw millions of Americans curtail their travel. “It won’t be just the airlines that feel the resulting pain, but travel agencies who sell air, hotels and resorts, cruise lines and car rental companies to name a few. The resulting loss of jobs would only serve to compound our current economic troubles, rather than alleviate them,” Gonchar added. According to a release recently issued by the Air Transport Association of America, the industry’s non-income tax burden has grown from $3.7 billion in 1993 to approximately $17 billion today. In 2010, U.S. airlines and their passengers contributed $3.4 billion in taxes and fees to the Department of Homeland Security, including $2 billion in taxes and fees to the Transportation Security Administration – a 50 percent increase from the amount collected in 2002. Taxes on ARC-settled air fares sold by travel agents increased from 9.7 percent in 2001 to 16.63 percent in 2010. The mission of the American Society of Travel Agents (ASTA) is to facilitate the business of selling travel through effective representation, shared knowledge and the enhancement of professionalism. ASTA seeks a retail travel marketplace that is profitable and growing and a rewarding field in which to work, invest and do business. Continental Airlines has introduced FareLock, an option that offers customers the opportunity to hold reservations and lock-in ticket prices for 72 hours or seven days with no commitment to purchase a ticket. The new feature, offered for a fee on certain domestic and international itineraries, gives customers additional flexibility to plan their travels and avoid the risk of price increases or sold-out flights. Customers may choose FareLock when booking reservations at continental.com and opt for a 72-hour or a seven-day hold. They may return to complete the transaction at any time between purchasing the lock and its expiration, or they may choose an auto-ticketing feature which tickets at the end of the lock period. FareLock fees, beginning at $5 for a 72-hour hold and $9 for a seven-day hold, will vary based on a number of factors such as the itinerary, number of days to departure, number of passengers on the reservation, and the length of the hold. The carrier will continue to offer its 24-hour flexible booking policy that allows reservation changes and cancellations with full refund without a fee within 24 hours of booking online or through the call centers. For customers choosing FareLock, the 24-hour flexible booking policy remains in effect upon ticketing, although the FareLock fee is non-refundable. More information about FareLock is available at continental.com. Continental Airlines is a wholly owned subsidiary of United Continental Holdings, Inc. (NYSE: UAL). Continental, together with Continental Express and Continental Connection, has more than 2,400 daily departures throughout the Americas, Europe and Asia, serving 142 domestic and 131 international destinations. Continental is a member of Star Alliance, which overall offers 21,000 daily flights to 1,160 airports in 181 countries. Continental has hubs serving Cleveland, Guam, Houston and New York/Newark Liberty, and together with its regional partners, carries approximately 63 million passengers per year. United Continental Holdings, Inc. became the holding company for both United and Continental upon close of the merger transaction. The two airlines will operate separately as they begin to integrate key customer services, marketing activities and airport processes. For more company information, go to continental.com and follow on Twitter and Facebook. SOURCE United Continental Holdings, Inc.